The Grand Trunk (GT) Road (and the subsequent railway line) spurred growth and opportunities to help create some of the largest cities of Punjab and KP. Off the top of your head, what is the most ambitious project to have been carried out in Pakistan in decades? One that will multiply opportunities for people, fix our infrastructure problem and set us on the road to prosperity? If you’re like most Pakistanis, your answer is probably the China-Pakistan Economic Corridor (CPEC). This corridor has captured our imagination and is now at the centre of policy, political, media and even military attention. Perhaps rightfully so too; after all, China has offered to invest billions of dollars in Pakistan in roads and highways, power plants, industry and agriculture, and Pakistanis are geared up to benefit from the opportunities that these investments can bring. There is no doubt about the potential of CPEC investments for Pakistan. However, the actual realisation of this potential would be determined by how we manage them, and how we plan — both urban and rural areas — to capitalise on the opportunities these investments create. Because it is largely centred on transit corridors, this success would be a function of key nodes along these corridors, connectivity within and among them, and the opportunity landscape for other areas along the corridor. It wouldn’t be wrong to suggest that cities and towns in Pakistan have historically grown around a similar model of nodes and corridors. Karachi developed from a trading port, while the Grand Trunk (GT) Road (and the subsequent railway line) spurred growth and opportunities to help create some of the largest cities of Punjab and Khyber Pakhtunkhwa. However, there have also been other corridor investments that are yet to yield similar results: think of the Lahore-Islamabad motorway, for example, which has had a questionable regional and national economic impact. The question, then, is how do we prepare ourselves to make the most of such corridors? A good strategy would necessarily be multipronged: we would have to make careful choices about everything from the type and placement of corridors that receive investment to the human ability of our citizens to interact with and benefit from them. On the other hand, a bad strategy carries as much risk as the opportunities inherent to these corridors. These choices assume even greater significance in Pakistan’s urban landscape. We have a few megacities like Karachi and Lahore that have grown at tremendous speeds by attracting people from rural and other urban areas of the country. If we zoom in, smaller cities appear to be attractive destinations for rural populations — these migrations are possible because of the physical infrastructure that connects these places with one another. So what can go wrong with more infrastructure that connects different places? Part of the answer lies in the ability of our cities to absorb new migrants and the quality of life they can make available to existing and new residents. Can Karachi — reeling from decades of ethnicised strife, dozens of informal settlements and congestion — reasonably house, clothe and feed hundreds of thousands of new migrants? Does it have enough employment opportunities for all new residents? What about Lahore? For that matter, is there a single major city in Pakistan that is ready for the potential migration of thousands of people facilitated by these corridors? In theory, any consolidation of labour in dense urban centres will lead to economic benefits. However, these benefits only accrue when there are enough opportunities and suitable living facilities for all residents. In addition, reliable modes of commute that connect workers with jobs are integral for the realisation of economies of scale of large labour markets. Where a city outgrows reasonable physical proportions and transit facilities are unavailable or unsuitable, it stops functioning as a singular labour market. Instead of accruing labour economies of scale, it accumulates all the administrative, political and environmental disadvantages of such scale. We need to, therefore, provide economic opportunities closer to home for both rural and urban citizens of Pakistan. Corridors should not simply be about connecting major nodes, but also about creating local opportunities in all areas that fall along the way. Instead of just moving migrants from smaller areas to major nodes, these corridors should also move productive local output and provide it access to bigger markets in bigger cities. It is important that this access entail a transfer of output from rural, semi-urban and urban hinterlands to big cities, and a resultant transfer of wealth from big cities to the hinterland. 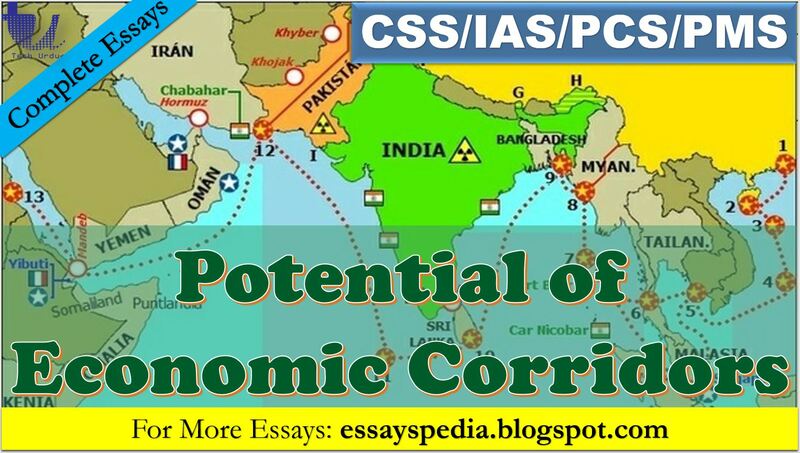 Far from being nonstop connections between cities (eg between Karachi and Gwadar, or Karachi and Peshawar), these corridors can be successful if intricately woven with economic opportunities and prosperity of smaller localities along the way. Big cities, on the other hand, must work on reliable transit and affordable housing arrangements on a war footing. While building economic opportunities in rural and small urban areas can ease some of the pressure of urbanisation on our megacities, the fact is that they are already overburdened and unable to cater effectively even to citizens who have been there for decades. While the relatively affluent adopt extremely unsustainable preferences and lifestyles, the poor — many of them migrants — live under the open skies, surrounded by some of the worst quality air in the world. This is not a call to impose draconian restrictions on internal migration. Instead, it is a reminder that connectivity alone can backfire spectacularly, both within and between places. The real test of planners and policymakers lies in identifying and enabling long-term local opportunities in areas along CPEC corridors and choosing infrastructure that is reliable, cost-effective and scalable in the long run. ← How to get Dark Mode / Night Mode on Websites?